Paul is a seasoned executive with over 30 years in a wide variety of leading-edge technology companies, 20 of those have been building and running successful sales organisations that provide solutions across EMEA, USA and Latin America. 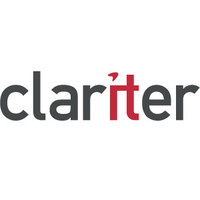 Paul currently heads up the sales for Clariter, Europe’s leading provider of Quality as a Service, to companies such as TIM, ENI, Enel, Rai, WIND, Digi.me. Prior to working at Clariter, Paul was VP EMEA for Pontis (an Amdocs company) the leading provider of customer based marketing solutions, VP of Sales at Amobee (a SingTel company) the largest independent mobile advertising company, Head of Sales for Neustar NGM the leading provider of Mobile IM and led EMEA sales at Visto the first multi-platform mobile email provider. Paul has a BSc(hons) degree in Computing Science from Staffordshire University.